Sie sind hier:UHH > WiSo-Fakultät > Fachbereich Sozialwissenschaften > Professuren > Professur Wiener > Forschung > Doktorandinnen & Doktoranden > Saide Mobayed, M.A. My research aims to reconstruct the normative frameworks on violence against women and girls (VAWG) that seek to define, collect and produce statistical data on the gender-related killing of women and girls (GRKWG) or fem[in]icide. As indicators spread as new technology of governance (Merry 2012, 2015, 2016) frameworks that measure VAWG become universalised, not only diluting the local context particularities but also overlooking the role of culture. This data deluge results in incoherent means of measurement and the reinforcement of postcolonial power structures of knowledge production. Therefore, the research is structured in two ways. On the one hand, it looks to identify the power and knowledge dynamics that shape how transnational communities of practice define, quantify and measure what this specific object of enquiry entails in the shape of norms, categories, concepts, patterns of data-driven technologies—which are themselves often designed by Western countries. On the other hand, it argues that even though the technical details behind the production of such numbers are often silenced, proactive contestation on-site of feminists’ activists occurs. The latter will be particularly analysed in the shape of alternative data collection with the use of María Salguero’s “Mapas de Feminicidio”, produced with the use of digital technology. The potential rhizomatic effects of this specific form of digital reverberated (Kuntsman 2012) contestation will be explored. 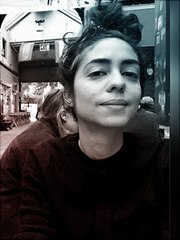 “Mariana Lima’s Femicide Sentence: A Transnational Perspective”—Article (2018). Academic Council on the United Nations System (ACUNS), Vienna. Available at: https://acuns.org/wp-content/uploads/2018/05/Femicide-Volume-IX.pdf. “Female Genital Mutilation and Early Marriage in Kenya: The Local Response to Global Norms"—Book review (2017). Revista CIDOB d'Afers Internacionals, Spain. Available at: https://www.cidob.org/en/publications/publication_series/revista_cidob_d_afers_internacionals/gender_violence_and_international_relations. “Mobilizing Transnational Gender Politics in Post-Genocide Rwanda, by Rirhandu Mageza-Barthel”—Book review (2016). Feminist and Women’s Studies Association Blog (FWSA), United Kingdom. Available at: http://fwsablog.org.uk/2016/04/27/review-of-mobilizing-transnational-gender-politics-in-post-genocide-rwanda/. “Guerrero: Los Orígenes de la Violencia” (Guerrero: The Origins of Violence)—Article (2015). La Política Online. Available at: https://www.lapoliticaonline.com.mx/nota/82587-guerrero-los-origenes-de-la-violencia/.